He must choose between a second chance with the woman he loves or revealing the truth and breaking her heart. 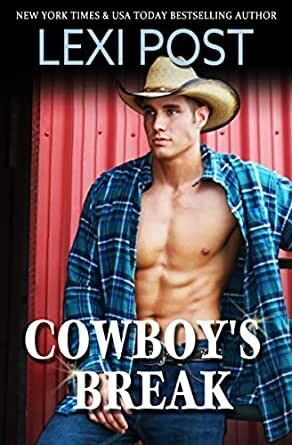 Cowboy and former detective Vince Gallagher never thought he’d have a second chance to convince Rachel Henderson they were meant to be together, nor did he think he’d want to. Now, after seven years, thanks to his old police academy friend, Vince is knee deep in numbers and computers, determined to save Rachel’s ranch and his own heart. Rachel hadn’t expected to see Vince again…ever. In fact, she planned on it. Saying goodbye to him had been the hardest thing she’d ever done, but she couldn’t handle her sister, the ranch, and his job as an undercover detective all at the same time. Now she’s with him every day and buried feelings just won’t go away. The closer Vince gets to solving the mystery of the missing money, the more convinced he becomes that Rachel is the one for him. But when prize animals start disappearing, he has to choose between revealing the culprit and keeping the woman he’s always loved from harm. He just can’t catch a break. Another poker flats winner. Sweet story of love, heart ache, mistakes and second chances. Rachel and Vince get back together years after his job as an undercover cop tore them apart. The fire is still there between them. Can Rachel give them one more chance. Will Vince take another chance? Last time it was Rachel that broke his heart. Great story. You’ll love it! This one captured me with the story, very intriguing with a few curves thrown in. Why the ranch was failing and who was responsible? Totally in love with Vince, all hot cowboy attitude male and still in love with Rachel. I wasn't sure I liked Rachel, but she did prove herself. The heat is great between these two and I happily sighed at the end. 5.0 out of 5 starsTrue love triumphs!!! Young love lost. Years and maturity and danger bring them together again. True love triumphs and resolves the dangers.